Up at 7:00. Took Pete over on 80 to plow. In town & picked strawberries & peas. Up home a minute. Pete & I here alone to dinner. Pete plowed & finished field in pm. Didn't get home till 6:30. I made 5 glasses strawberry jam. Worked on d. room curtains. Ate supper & went in town & sat on the street. Talked to LVene & Verle & Ger & Everett a minutes. Home to bed at 11:00. I can see Dad wanted to get that field plowed… having gotten behind when he was hurt. No church, today… though, might have been Annual Conference, and not service??? Like to have some of that jam! 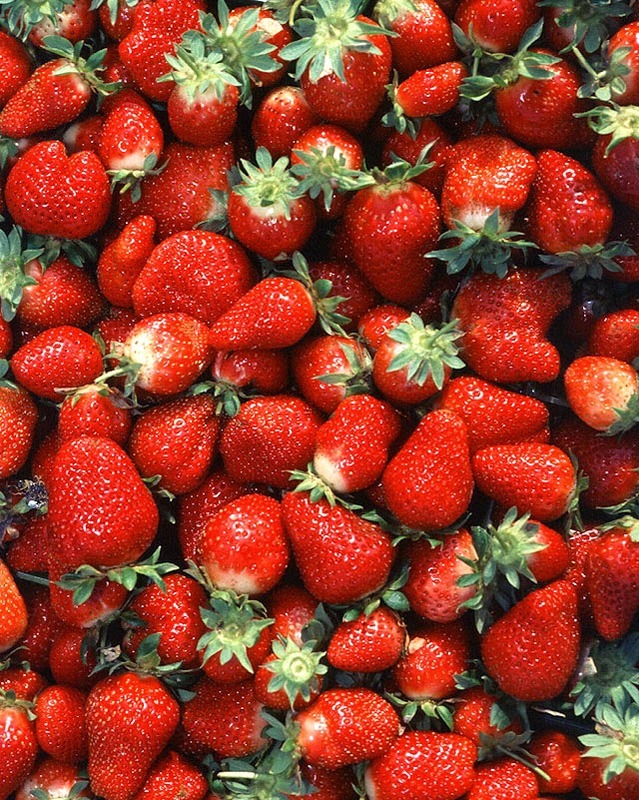 Here are some strawberries just picked… you can make the jam!